Sony is a big multi-billion dollar corporation that has its fingers in a lot of different pies. From motion pictures to music, to televisions and yes, smartphones, Sony has a rather diverse business plan. With a vault full of cash, Sony doesn't mind offering owners of the Sony Xperia Z1, Sony Xperia Z1S and the Sony Xperia Z2, a pile of free content and apps. Owners and new buyers of the Xperia Z1, Xperia Z1S and Xperia Z2 will also get a free download of the previously unreleased Michael Jackson album XSCAPE, the full version of the OfficeSuite Pro, 50GB of free cloud storage for life from Box.net, and three free months of the Evernote premium subscription service. Wait. There's more. How would you like to receive for free, three months of 1TB storage from Bitcasa and ten Xperia themes? Guess what. They're yours. From June 1st through June 30th, those sporting the three affected Xperia models will also have free Social live premium membership. The three handsets will also get three additional games and apps. And if you own, or are purchasing the Sony Xperia Z2, you will receive Garmin's navigation app at no cost. 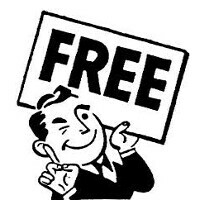 If it sounds like a huge package of freebies, that's because it is. To claim them, you need to go to the Google Play Store and download the Xperia Lounge. Go to the premium apps and follow the links. You might want to thank Sony for their largesse as its not every day that a phone manufacturer offers such a large amount of free content to its customers. Not bad, I guess :) Especially the Garmin Navigation. I want to have offline navigation since I'm used to Nokia. With only 16 GB, where are we going to put it all? I believe a few apps don't take much storage. Hey, I didn't get a chance to try 4K yet. There is no time constraint, right? I don't get the 'free movies' thing... Don't people use torrents anymore? Preference really. Some of us prefer not to pirate our content. 'affected' ? Good ol PA. Anyways, off to get a microsd to download these. But Xperia Z1 Compact gets nothing! Whyyyyy??? That's some biasness to z1c. Sony -- work on getting your phones to more markets. This should be your number one priority. These 'goodies' mean nothing to the millions of people who can't buy your phones because you don't know how to get product out the door.